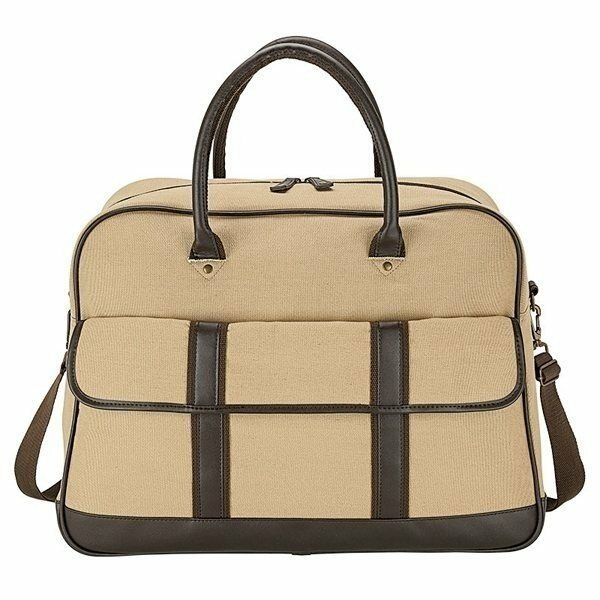 This fully-lined and padded large capacity travel duffel bag made from soft 14 oz canvas features a large main compartment with bottom stiffener and three interior pockets, one zippered. 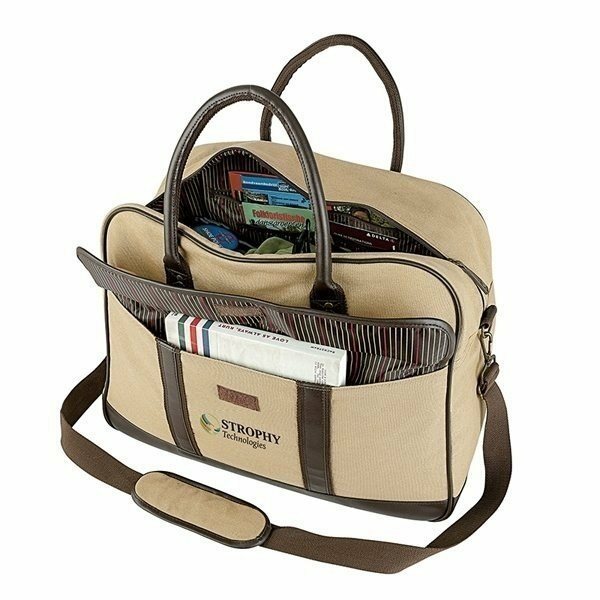 Other features include a large front pocket with hook and loop closure, 20" tube handles, 1 1/2" x 51" adjustable / removable shoulder strap, bottom feet, and metal hardware. Finish / Material: 14 oz Cotton Canvas, 210D Poly, Metal. the print quality was fantastic on this run AnyPromo provide the good product and service to us! THANK YOU THANK YOU THANK YOU! this ornament is high quality. AnyPromo did an excellent job working with me to customize my logo and the product arrived right on time. the quality of the product for the price We gave this to them in their Christmas basket and they all loved it! Very high quality, reasonably priced, delivered quickly Great product...looks really professional.